Mazes’ music is fuzzy and grungey with plenty of melodic guitar riffs. The London-based band’s songs may be short and sweet (averaging around two minutes), but they have great impact, especially when played live. Mazes’ vigorous debut album A Thousand Heys was released in April and the band is scheduled to play a number of dates in the US in October. Listen closely for the witty lyrics amid the guitar fuzz, and let the infectious rhythms of the bass and percussion get you dancing. It’s definitely worth catching them whilst they’re on this side of the pond. 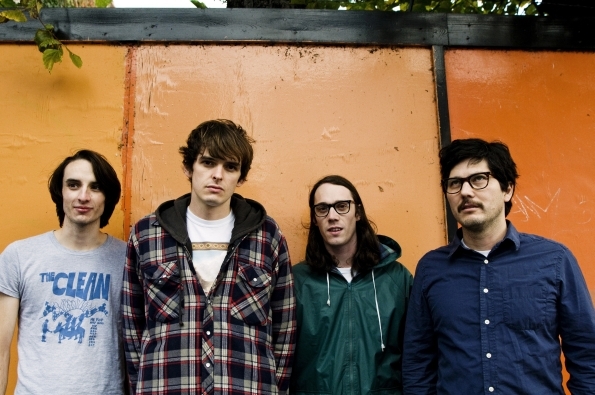 Stream Mazes‘ debut album A Thousand Heys HERE.